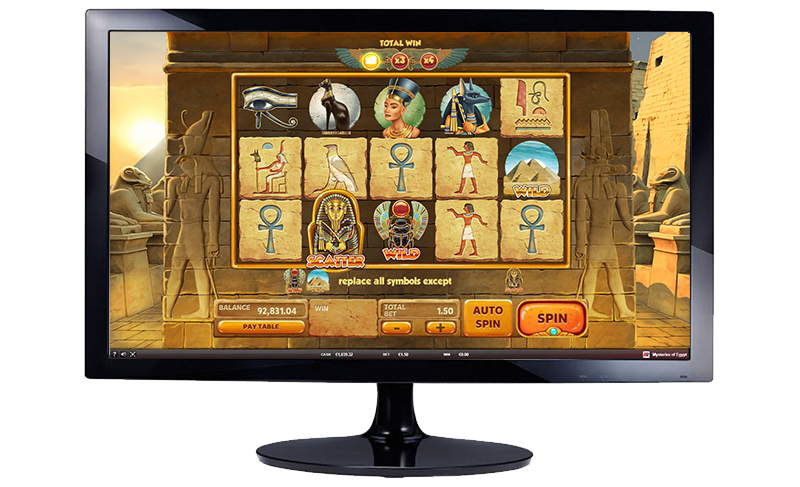 Delve into the 'Mysteries of Egypt' and discover the pharaoh's tomb while getting fantastic wins. 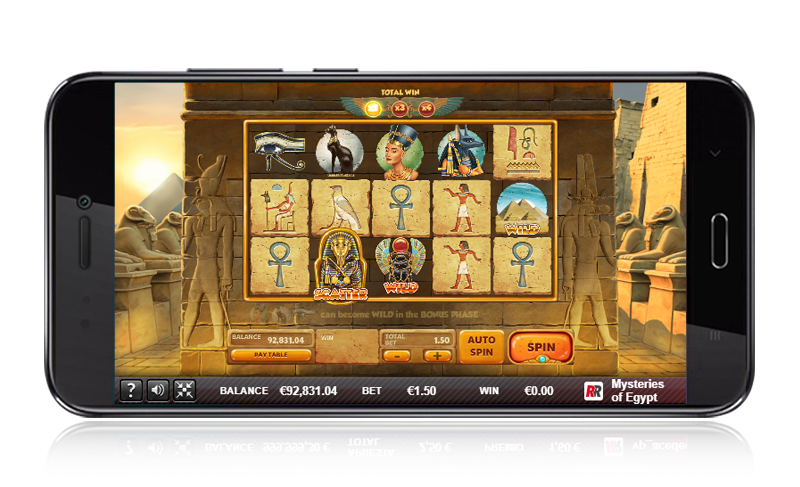 Thanks to its amazing graphics, animation and music, this slot takes you back to 'Ancient Egypt'. 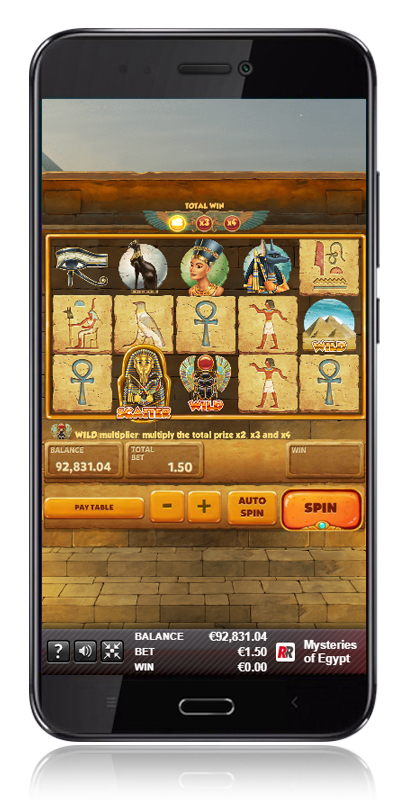 5 reels with up to 25 lines, and special features such as a free spins bonus, wildcards, multipliers and symbols that change into Wilds. 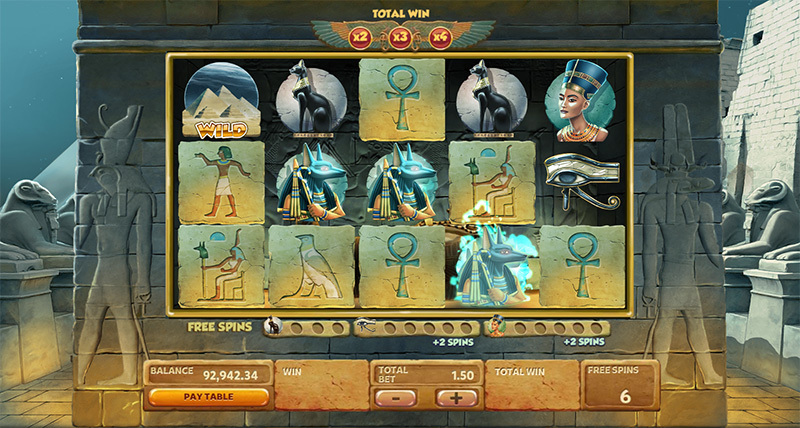 Wild Multiplier: the Egyptian beetle multiplies your winnings when found in any position on the reels. 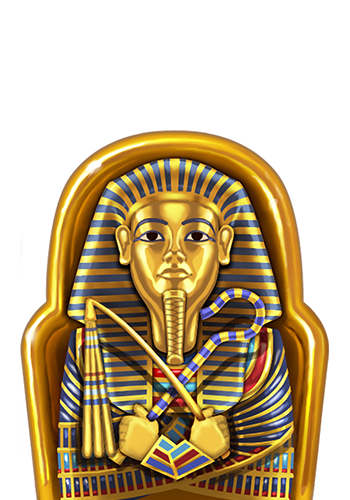 Tutankhamun Bonus: having 3 Tutankhamun symbols in any position lets you discover the 'Tomb of the Pharaoh' and gives you 7 free spins. UK, Italy, Spain, Sweden. In progress: Portugal, Malta. 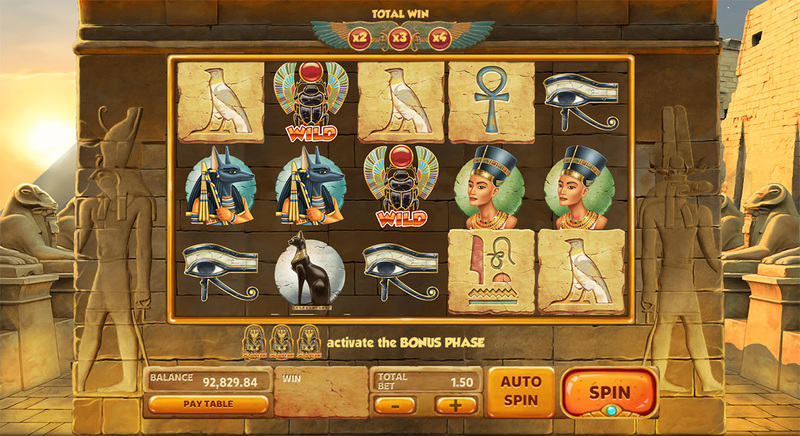 Every Wild multiplier that appears in the same spin multiplies the total win. 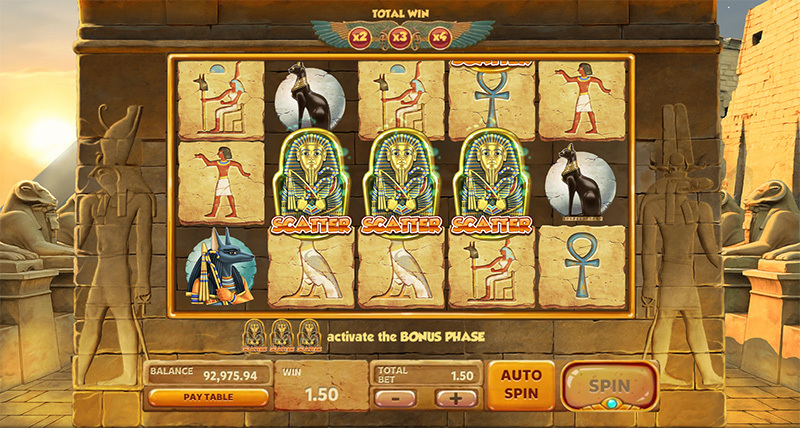 3 Tutankhamun Scatters in any position activates the 7 free spins bonus. 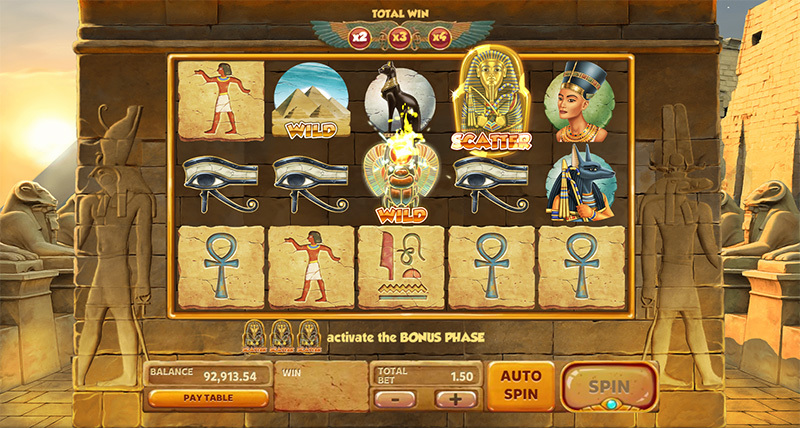 Collect the Anubis Scatters to make the characters turn into Wild symbols during this stage and get more free spins.